I’ve been on two Mountain Gorilla treks in the last week, one in DR Congo and one in Rwanda. I got to see two family groups and watch a lot of relaxed interaction and play, which was extremely cool. 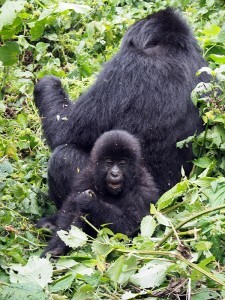 In the Virunga National Park in DR Congo, I visited the Humba family. By chance I was the only tourist visiting that family that day, so I lucked into a private tour. After a fairly short hike, I saw a large tree trunk blocking the trail ahead. 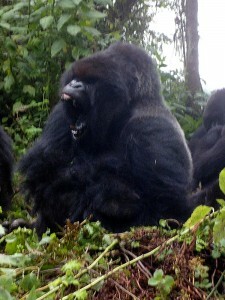 Oh wait, that’s Mr Humba, the boss silverback himself. Important safety tip: A silverback in the forest, 20 feet away, looks MUCH bigger than a silverback in a zoo enclosure. Over the course of the hour, I think I saw everyone in the family group. 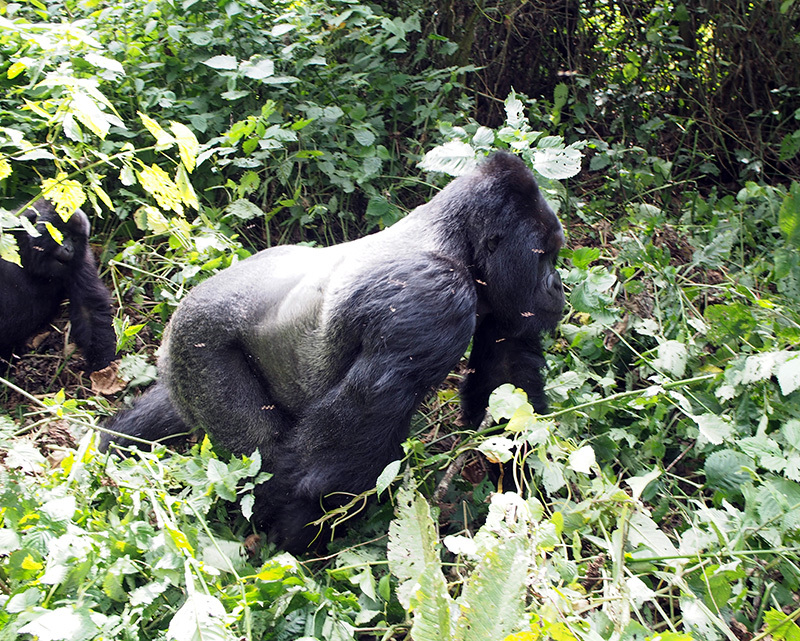 They were foraging, so the group was frequently moving and a couple of times either the boss silverback or a large female passed quite close to us. 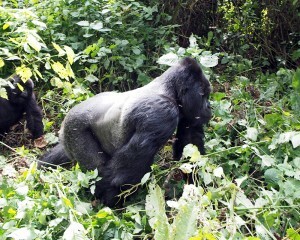 A junior silverback seemed to be staying a little bit away from the main family group. He seemed to dislike human presence and would typically move away quickly if we got close. Several times I heard him doing chest-drumming offstage, which was very cool. 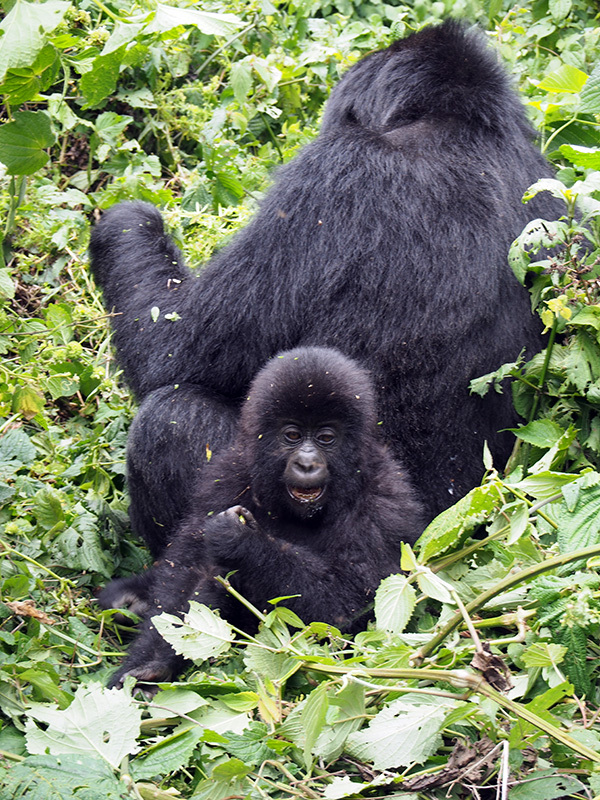 In the Volcanoes National Park in Rwanda, I visited the Pablo family. This is a very large group, with 35 members, but we only saw one part of it. They were having a midday rest and were pretty relaxed about their visitors, including a lot of loud shutter clicking, which they are probably well accustomed to by now. 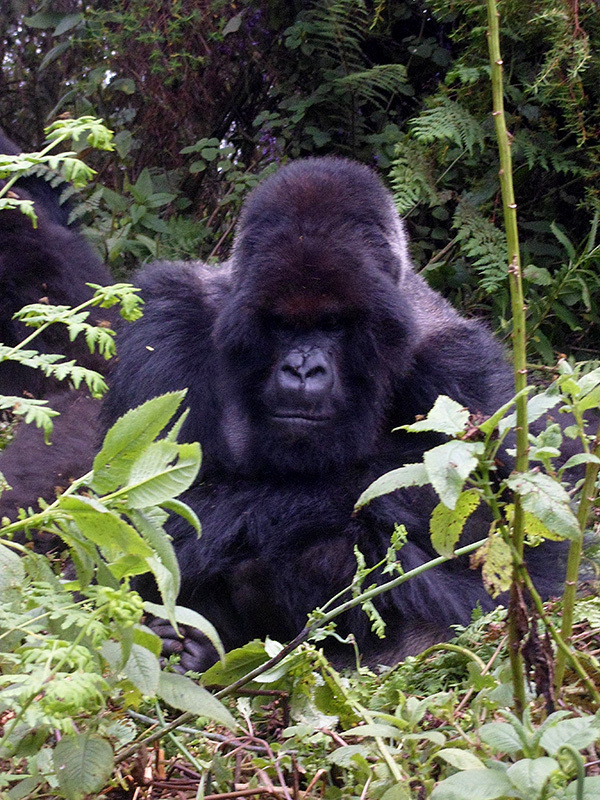 We got clear views of the boss silverback and about ten others. Unfortunately on the way back down I managed to slip on a steep section and fall badly on my left wrist. 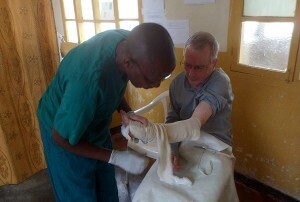 At the hospital the following day the X-ray showed a small simple fracture, so I’m going to be doing the rest of my African trip with a fine Rwandan cast on my wrist and arm. Drat. Practicalities: I organized my DR Congo trek though the Virunga National Park and my Rwanda trip though Umubano Tours, who also successfully navigated me through the Ruhengeri Hospital. I recommend both of them.